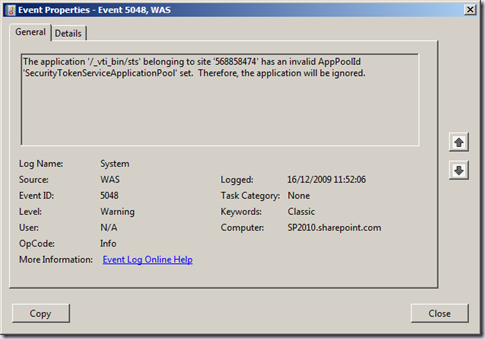 As I’ve previously detailed there is a significant oddity with how SharePoint 2010 Beta creates Application Pools in IIS for the hosting of Service Applications and especially the two most important services in your farm, the STS and Topology. 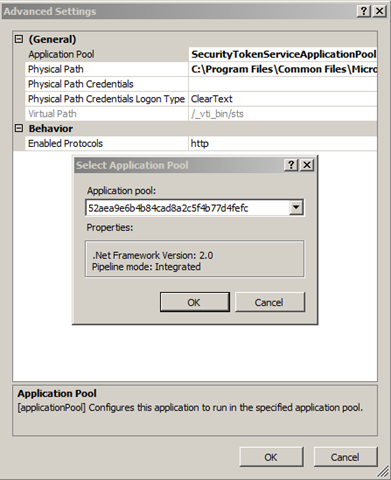 As mentioned these application pools are named with GUIDs. 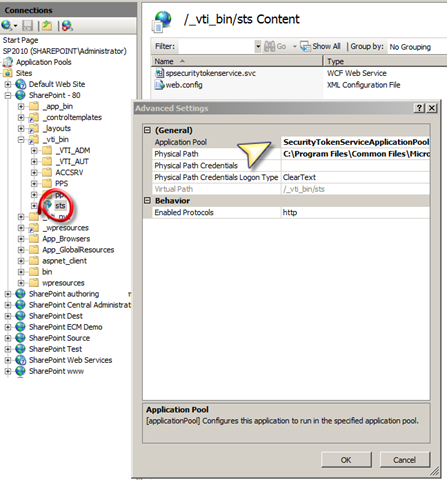 Unfortunately when creating a Web Application, SharePoint 2010 uses the SharePoint only property Display Name for the STS application. 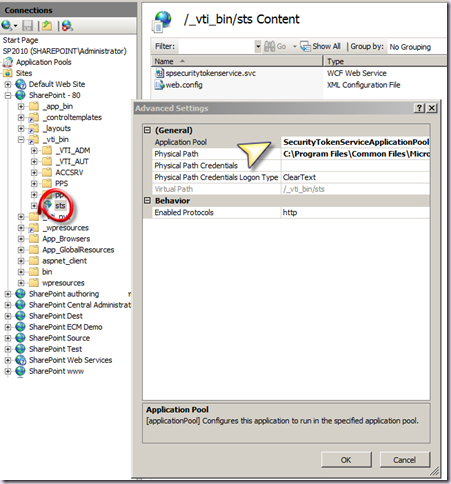 The STS application is required as part of every SharePoint 2010 Web Application and lives at /_vti_bin/sts. Whilst this is just a warning, the consequences are pretty serious, as this application cannot start (it has no valid hosting application pool) it will be ignored and functions that rely on it will fail. Ooops! 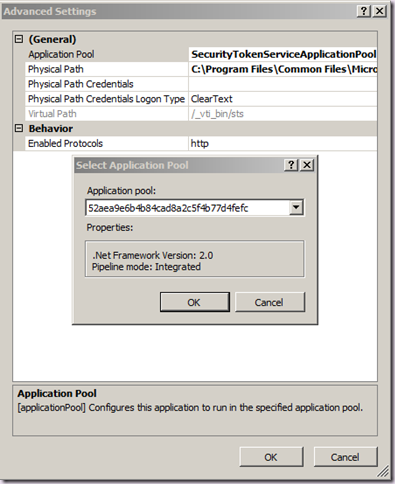 For now the fix is simple, for each Web Application we can set the Application Pool correctly using Internet Services Manager (steps below) or APPCMD. 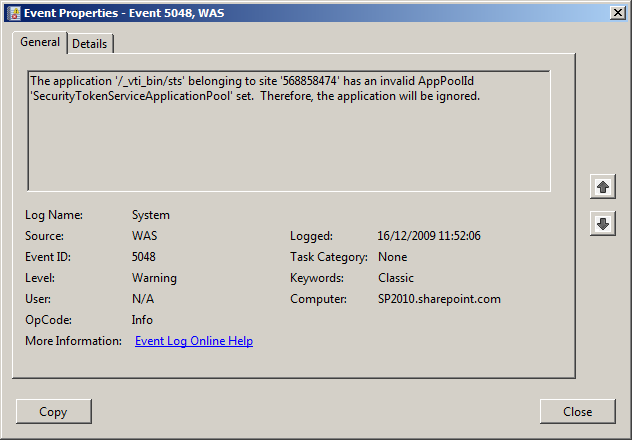 We should expect this mis-configuration to be fixed in the future RTM of SharePoint 2010. Don't be mad! This is a BETA!